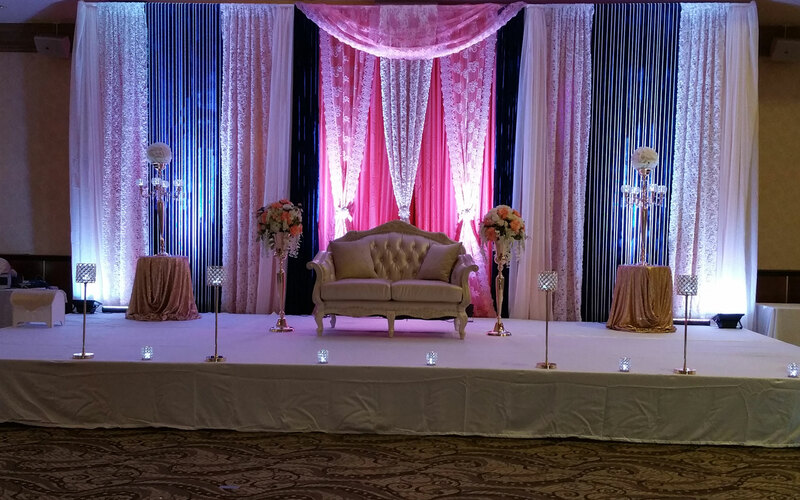 Whether you are planning to have an intimate wedding or an exorbitant one, Celebration Banquet Hall will surely match your unique choice, budget, and requirements. With a capacity of accommodating up to 200 in seating and 900 in floating, the venue has a cosy and comfortable interior for the guests. It also offers an in-house team of caterers that puts all the efforts to delight the guests with mouth watering multi-cuisine dishes. Celebration Banquet, Navi Mumbai, is a versatile venue located in Vashi for social as well as corporate events. Whether you are thinking of hosting a birthday party or a full-fledged wedding reception, the venue’s in-house decorators can create magic! Try out their delicious cuisines and be prepared to be impressed by their impromptu services for your next event! You can also get caterers from outside and make sure your guests enjoy a lovely spread. Venue allows outside caterers. (Royalty Applicable) Venue does not allow outside decorators. Venue does not allow outside DJ. Venue allows outside alcohol (Corkage Applicable) Venue is available in the following time slots: 09:00 a.m - 03:00 p.m (Lunch) 05:00 p.m - 11:00 p.m (Dinner) Complimentary changing rooms are provided to the bride and groom. Hotel available around the venue for accommodation of outstation guests: The Regenza by Tunga (1 km from venue): 99 rooms, average price double occupancy is Rs 9,000 + taxes. *These are average rates and are subject to change. Venue has parking capacity for 100 vehicles and provides valet services. The nearest railway station is Vashi Station. Landmark: Samna Press Building / Inorbit mall.